Product prices and availability are accurate as of 2019-04-21 06:52:03 UTC and are subject to change. Any price and availability information displayed on http://www.amazon.com/ at the time of purchase will apply to the purchase of this product. Electronic guitar with music and lights. Press different keys for different music (5 songs). 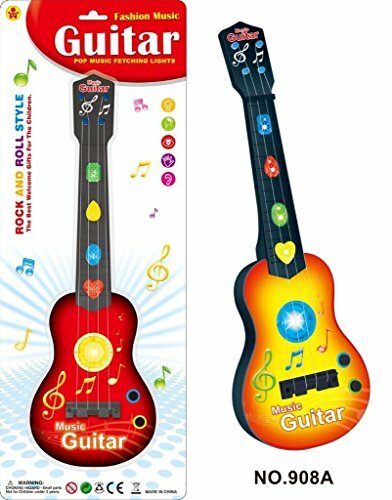 4 Strings; Small size; Suitable for children ages 3 and up. The guitar makes fun sounds and flashes lights when played. 3 AA batteries required (not included).